Most of us to install the XnView,ACDSee this kind of software just for viewing photo or image that download into computer.Are you ever thinking that is it needed these kind of ‘big size’ software just for viewing image ?If you getting some image files like apm,hdr,ibm formats and others that can’t open with XnView or ACDSee,what will you do ?Download another photo viewing software ?Now you just need imageXtender (size 1.90MB) that can view more than 200 image formats. 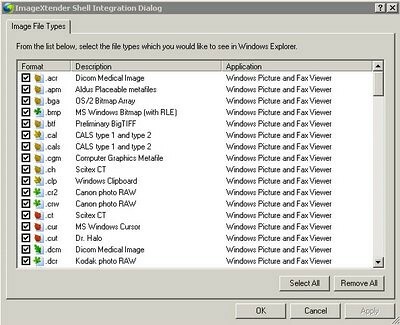 ImageXtender provided you with ability to use standard Windows image viewer for viewing files of nearly all image formats in Windows Picture and Fax Viewer mode. Download imagextender and installed.Just click ‘OK’ if asking to select image file type that supporting by imagextender. 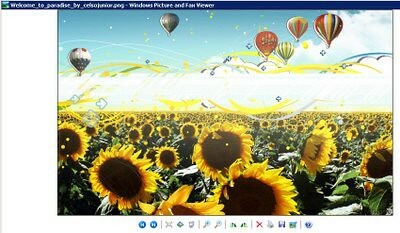 Test run with a image with png format,it open with window picture and fax viewer successfully.